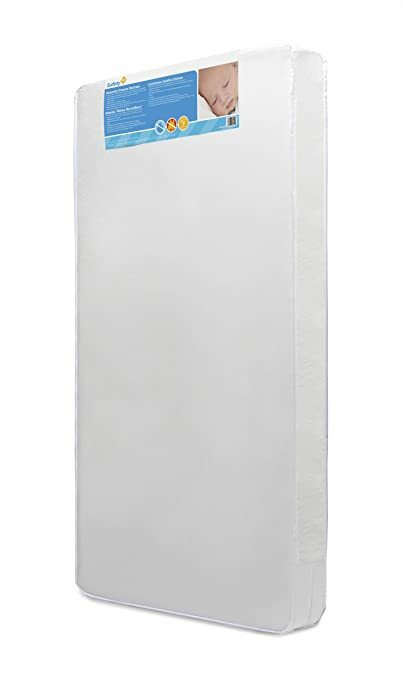 -Features 4 level mattress support frame to adjust to your child's growth. 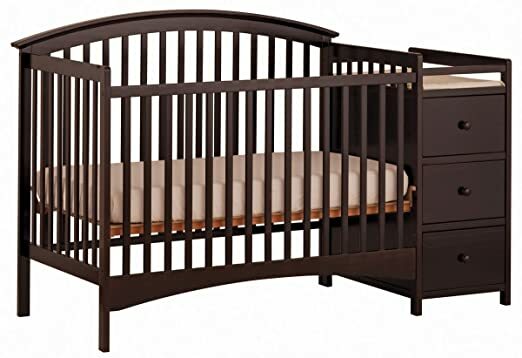 DaVinci Emily 4 in 1 Crib including Toddler Rail (Color: Cherry) is on sale at Amazon.com for $179 (reg. $319.00) plus Free Shipping. 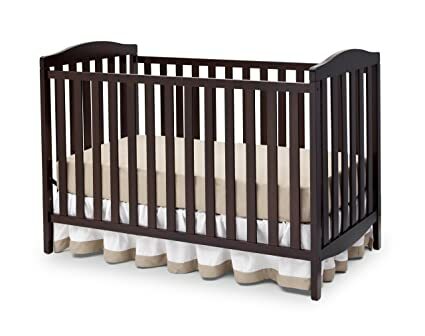 This 4 in 1 Crib has excellent reviews. -Converts to a toddler bed (rail included), daybed, and full-size bed. M4799 bed conversion rails sold separately. -It took only 25 minutes from start to finish to assemble this crib. The instructions were extremely easy to follow. -Very stable, sturdy and beautiful. -Would recommend that you inspect each piece carefully before putting the crib together. The directions that came with the crib said nothing about the washers that were included in the hardware though. Anyhow it was worth the price. This bed rail is great for transitioning your child from his or her crib – it accommodates twin- to queen-sized and platform mattresses. One side of this bed rail folds down for easy access allowing parents to sit down or change the linens. 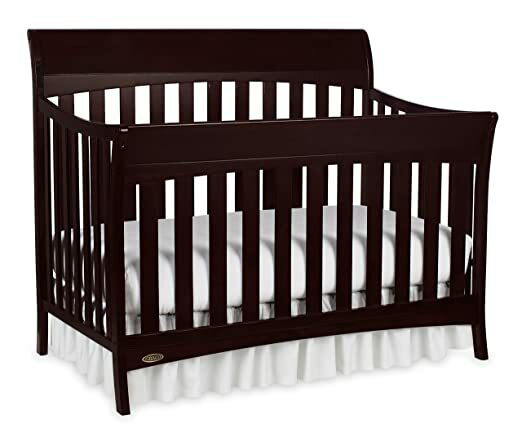 Amazon now you can get this Graco Rory Convertible 4-in-1 Crib in Espresso for just $86.65 shipped (regularly $229.99). This crib converts to a toddler bed, daybed, and full-size bed with headboard and footboard – the bed frame and mattress are not included. 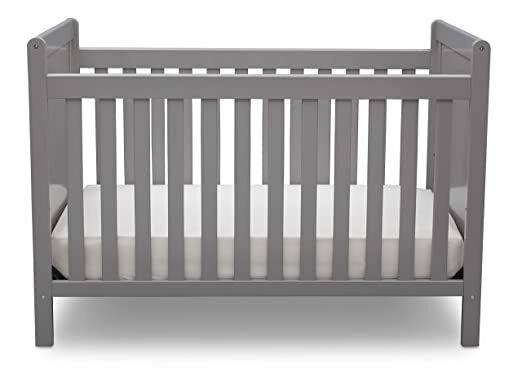 Amazon.com now this Stork Craft Bradford 4 in 1 Fixed Side Convertible Crib with Attached Changer in Espresso for just $160.50 shipped (regularly $329!). 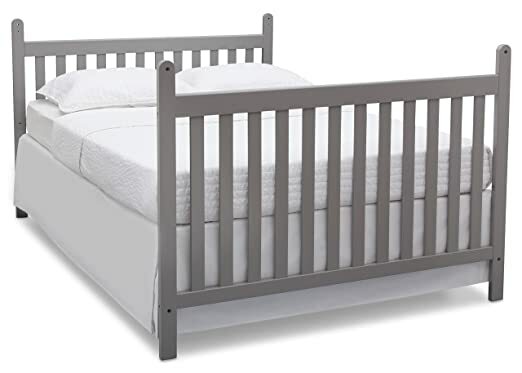 Designed for multiple stages of life, this crib converts from a full size crib to a toddler bed to a daybed and then to a full-size bed (note that full size bed rails are not included). The attached changer has an extra deep surface for added security and stability while changing your baby. 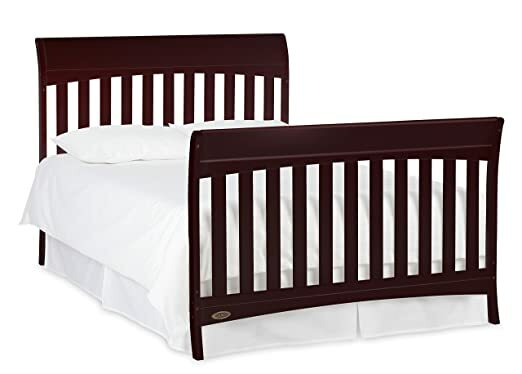 Amazon.com now they are offering up this Baby Relax Dark Cherry Toddler Bed for only $39.13 shipped (regularly $119). 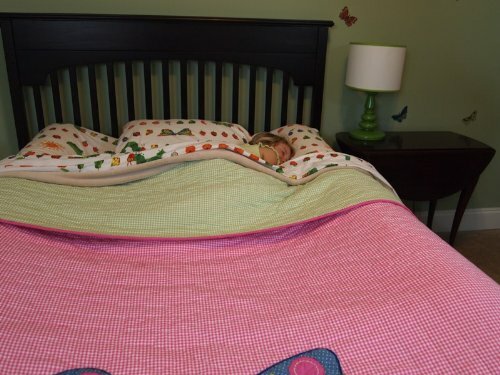 This toddler bed is recommended for kiddos at least 15 months old and no more than 50 pounds. You can use any standard size crib mattress with this bed and it features two built-in guardrails that help keep toddlers secure. 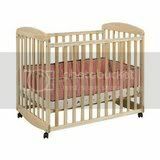 Amazon.com now they are offering up this Dream On Me Classic 3 in 1 Convertible Crib for only $75.56 shipped. 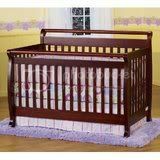 This crib features a stationary non-drop side rail design with teething rails, locking wheels and three level mattress support. When your little one outgrows the crib, you can easily convert it to a toddler bed! Walmart.com now you can get this Graco Dream Suite Bassinet & Changing Table (in Mason) for only $83.82 when you select for free in-store pickup. This 2-in-one bassinet and changing table is built with two speeds of vibration, locking wheels and a canopy and is best suited for infants up to 15 lbs. who are unable to push up on hands and feet. 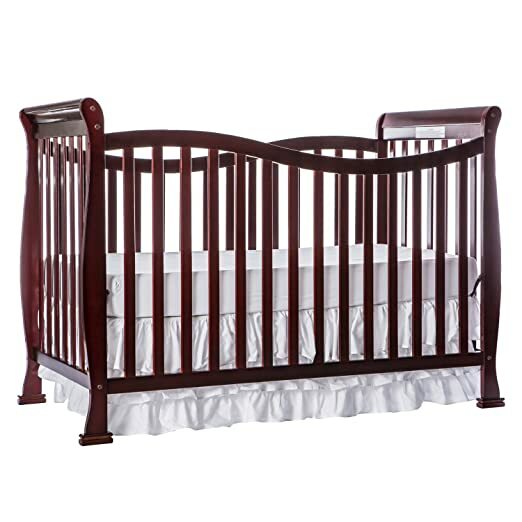 Walmart.com now this Graco Hayden 4 in 1 Convertible Crib in Espresso or Cherry for just $124.48 shipped. This crib is made of solid pine wood and converts to a toddler bed, daybed and full-size headboard so your little one will get many years of use out of it. Amazon.com now you can buy this Simmons BeautySleep Naturally Crib and Toddler Mattress is marked down to $99.99 (regularly $109.99). Even better, choose FREE no-rush shipping at checkout and get a $31.96 instant discount which will drop your total down to ONLY $68.03 shipped! 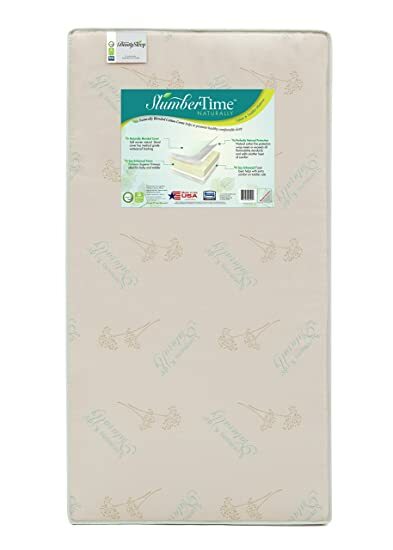 This Natural Crib and Toddler Mattress has a soy enhanced foam core and water-resistant natural woven cotton cover – it is firm for comfort and safety and comes with a limited 35 year warranty. Amazon Prime members now can get this Delta Children Capri 3-in-1 Convertible Crib in dark chocolate or white for just $76.92 shipped (regularly $107+). If you are not a prime member, you can get the Delta Children Capri 3-in-1 Convertible Crib in black for $76.92 shipped (regularly $176.43). This crib converts to a toddler bed and a daybed so your kiddo will get years of use out of it. It also includes a daybed rail and features 3-position mattress height adjustment. Walmart.com now you can get this highly-rated Fisher-Price Ultra-Lite Day & Night Play Yard for just $56.56 shipped (regularly $139.98)! This Play Yard is an inclined sleeper, large padded play space and a diaper changer all in one, so your baby can sleep, nap, and play in it. It also comes with a travel diaper clutch with an easy-to-clean vinyl changing pad. Walmart.com now this Blaze and the Monster Machines Plastic Toddler Bed by Delta Children for just $27 (regularly $48.40) after select for free in-store pick up. Or, if you’re an Amazon Prime member, you can get the same bed for just $27.55 shipped! This toddler bed features two attached guardrails and sits low to the ground so kiddos can get in and out of bed on their own. It also uses a standard crib mattress so you can easily transition your little one from their crib to a big-kid bed. Amazon now get this highly-rated Safety 1st Heavenly Dreams Stars a Plenty Baby Mattress in light blue for just $35.68 shipped (regularly $70) after you choose the no rush shipping discount of $34.32 at checkout. 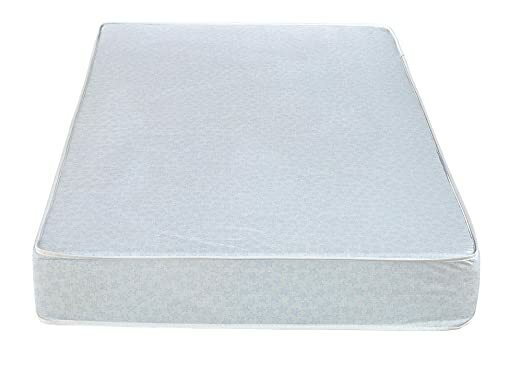 This mattress features a sweet star pattern and a high density thermo-bonded core which provides firm support for your baby. It also has a waterproof vinyl cover to make clean-ups a breeze. 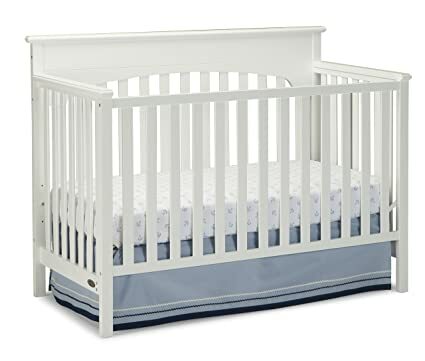 Amazon now you can get this Graco Lauren 4 in 1 Convertible Crib in white for only $89.99 shipped (regularly $123)! 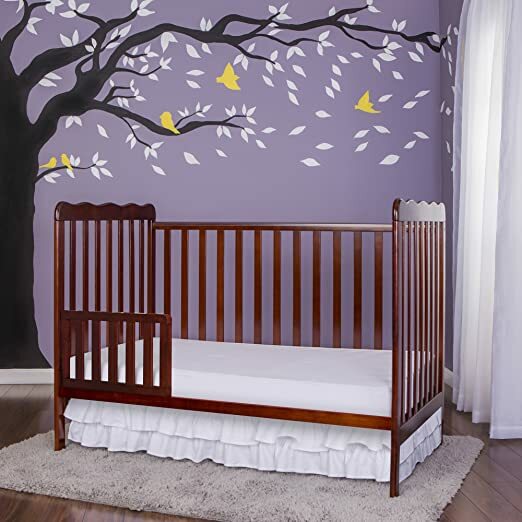 This crib converts to a toddler bed, daybed, and full-size bed with headboard (bed frame and mattress not included). It has three-position mattress height adjustments when set up as a crib, and it comes with a 1 year limited manufacturer’s warranty! Amazon.com now you can get this Graco Pack ‘n Play Travel Lite Crib Playard in Winslet for only $62.39 shipped (regularly $109.99). The space-saving design of this crib makes it 20% smaller than traditional pack n’ plays and it weighs less than 20 pounds! It features a travel bassinet with canopy, a cute toy bar and a carrying bag for no-fuss travel and storage. Amazon now you can get this Graco Pack ‘N Play Playard with Newborn Napperstation DLX in Manor for just $90.99 shipped (regularly $179.99)! This Pack ‘n Play is made to grow with your baby from newborn to infant to toddler. It features removable shelves to keep diapers, wipes and other necessities close by as well as a new changing table that can hold babies up to 30 pounds! This kid's bed is really cool! Walmart.com get this Delta Children Turbo Race Car Twin Bed in blue only for just $131.25 shipped (regularly $200)! This race car bed accommodates a twin size mattress (not included) making it great for school aged kids but it also has a sunken design with raised edges on the sides making it great for toddlers as well! Amazon now get this highly rated Graco Pack ‘n Play Playard Snuggle Suite LX in Pierce for just $95.99 shipped – regularly $219.99! This Pack ‘n Play has a portable infant seat that doubles as a bouncer with 2-speed vibration to help soothe fussy babies. 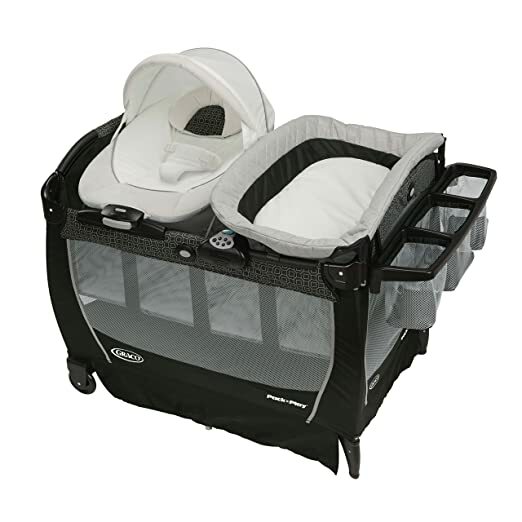 It also has an attachable changing station for babies up to 30lbs and a built-in organizer to keep diapers, wipes, and other essentials close by! 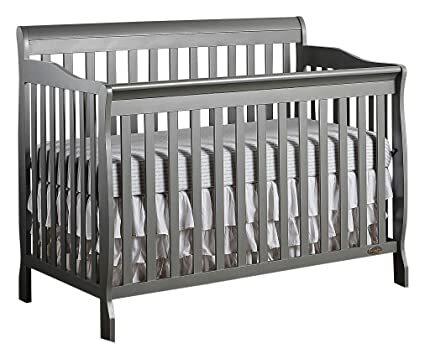 Amazon.com now you can get this Dream On Me Ashton 5-in-1 Convertible Crib for only $104.99 shipped (regularly $204+). When your kiddo grows out of the crib, it coverts to a toddler bed, daybed or full sized bed (the toddler guardrail, mattress and full size platform bed conversion kit are sold separately). There are four different mattress positions to choose from to adapt to your kiddo’s needs. Walmart.com now you can get this highly rated Serta Nightstar Firm Comfort Crib and Toddler Mattress for just $50 shipped (regularly $96.99). 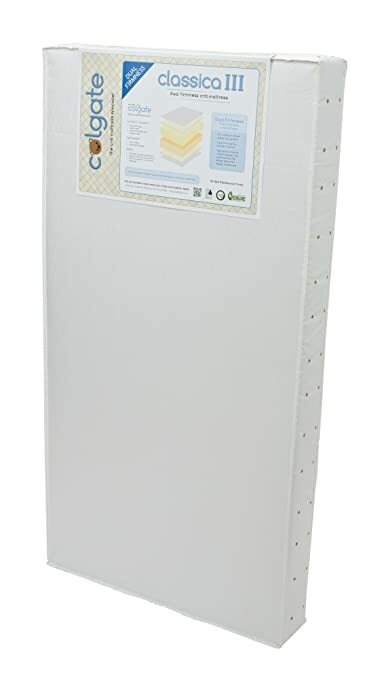 This mattress has a waterproof and stain-resistant vinyl cover and the lightweight construction finished with square corners helps keep a secure fit inside the crib. 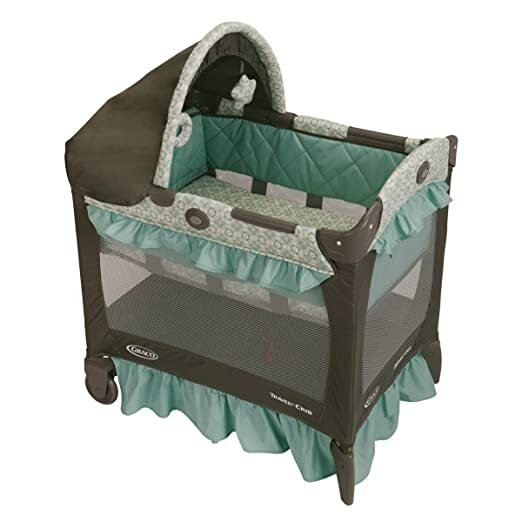 Through tomorrow, November 25th, Target is offering the Graco Pack ‘n Play Playard Simple Solutions Portable Playard for only $49.99 shipped (regularly $79.99), both in stores and online. Walmart.com now get one of these Disney Room-in-a-Box Sets for just $59.99 shipped (regularly $119) – such a HOT BUY! Each set contains a toddler bed, table and chair set, and a fabric toy box. Choose from Frozen, Minnie Mouse, Mickey Mouse, or Cars. Awesome! On Walmart.com, you can now buy this Better Homes and Gardens Kelsey Twin Metal Loft Bed for only $109.20 shipped (regularly $169)! This twin loft bed leaves you plenty of space for playing, lounging or studying, plus it includes the ladder and secure guardrail. On Amazon.com you can now buy this Ingenuity Smart and Simple Playard for just $67.19 shipped (regularly $119.99) – lowest price ever! 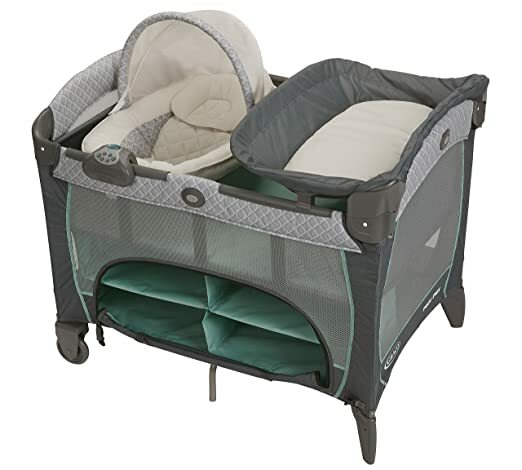 This playard features an elevated diaper changing table that moves out of the way when not in use, a bassinet for newborns to rest, and a diaper storage system on the side. Even better, there’s no need to remove the bassinet when folding it AND the fabrics are machine washable! TODAY, February 26th only, Amazon is offering up awesome deals on select baby products. 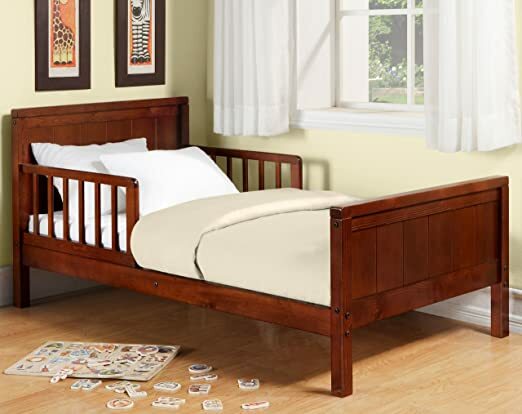 On Walmart.com you can now buy this DaVinci Sleigh Toddler Bed in white or espresso for just $59 shipped (regularly $80.99) – best price! This toddler bed is low to the ground, making it easy for toddlers to safely climb in and out on their own. It is made from 100% sustainable New Zealand pine and fits a standard crib mattress. Amazon.com 现在 this Dream On Me Violet 7 in 1 Convertible Life Style Crib, Cherry (Baby Crib, Daybed, Toddler Bed AND Youth Bed), 降价 for ONLY $96 with free shipping and free returns. 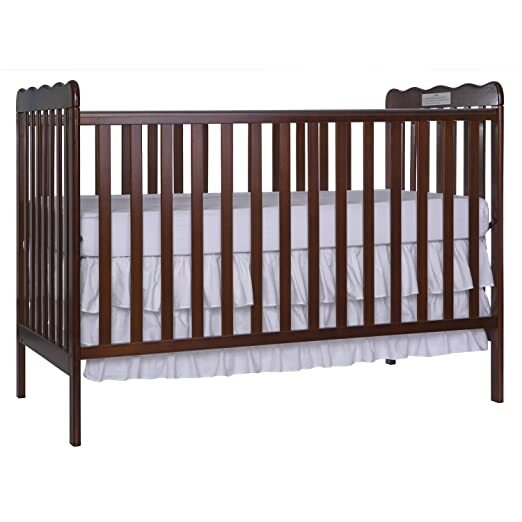 Available in several different finishes, this crib can transition easily to a toddler bed, daybed, youth bed and full-size bed as your child grows. 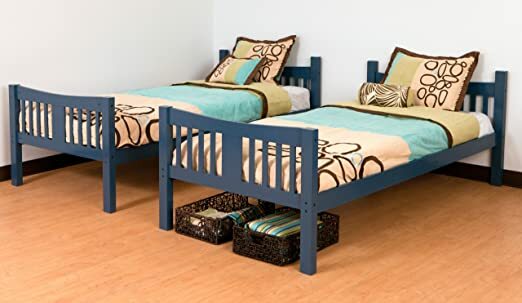 On Walmart.com you can now buy this Better Homes and Gardens Twin Wood Bunk Bed Set in select colors for only $159 shipped (regularly $199)! This solid wood bunk bed set comes with two full-length guardrails on the top bunk and a secure, easy-to-climb 4-step ladder for safety. Plus, the bunks can be easily converted into two twin beds! 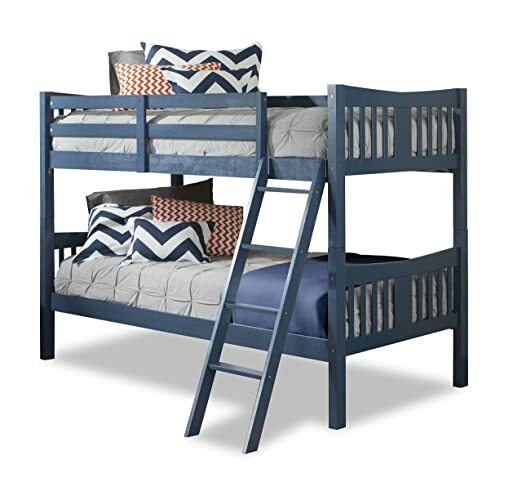 On Amazon.com you can now get this highly rated Storkcraft Caribou Solid Hardwood Twin Bunk Bed Set in navy and/or gray for only $167.99 shipped (regularly $249.99). This Storkcraft Caribou Solid Hardwood Twin Bunk Bed Set is made from high-quality solid rubberwood and composites and features unique fastening systems, a sturdy four-step ladder and full length guardrails. You can also configure this set into two separate twin beds to fit your needs. On Target.com where you can now get this Pillowfort Finn Kids Wood Bunk Bed in Espresso for only $299.98 shipped (regularly $999.99)! This bunk bed holds two twin mattresses (not included) and the wood color will match any decor. The ladder can be installed on either end depending on your preference. This storage bed comes with a convenient storage compartment to keep all your favorite things. The metal bed frame has sturdy metal slats to provide comfort and support as well as metal side rails and center legs that guarantee stability and durability. The added storage space in the headboard is perfect for keeping things close at hand yet hidden away.